All oppression is related to resource extraction. Whether that resource is black Africans forced into slavery, a massive energy resource that powered settler-colonial America…. or the resource is women’s reproductive power, exploited by men who restrict women’s bodily autonomy and oppress women in the process…. or the resource is land taken from indigenous cultures and from wild animals for colonial settlers to farm…. 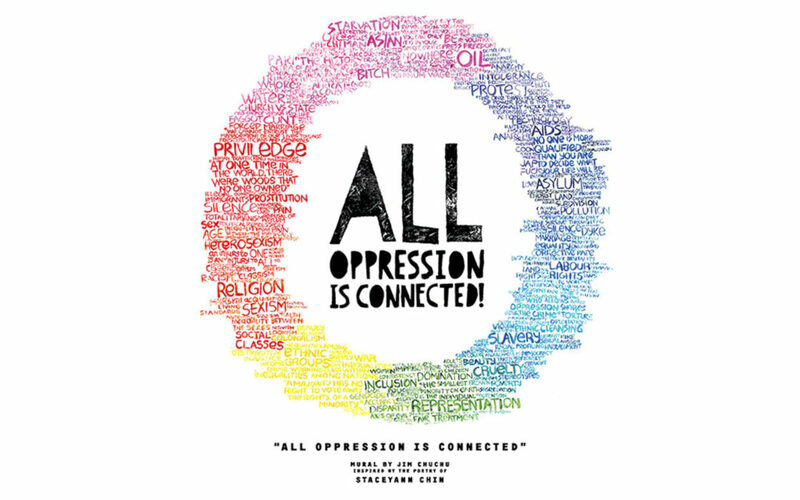 All Oppression is Connected is a wall painting by Kenyan artist Jim Chuchu, inspired by the poetry of Jamaican artist Staceyann Chin.